An important element of your cleaning routine is to brush at least twice per day while flossing daily. Regular cleanings can help ensure that food does not stick between the teeth, which can cause cavities to develop. Following a great nutritional provides long-term benefits to your oral health, including optimal prevention against cavities. It is important to avoid sweets, sugary drinks, and follow a diet with the recommended volume of nutrients and vitamins. A healthy diet establishes a good foundation for healthy teeth. 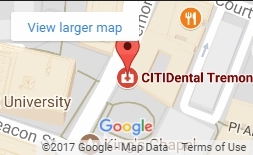 It is recommended to visit your dentist on a regular basis. For children, this is usually around the time of their first birthday. Early checkups can also help children be more acclimated to a dental office, making them more comfortable with visiting the dentist over time. Any areas or risk factors for cavities can be detected and treated early during these visits. A sealant is composed of a plastic resin that bonds to the grooves of chewing surfaces. When teeth are sealed, the grooves are filled and the surface becomes mother, providing less of a chance for plaque to develop. While the sealants protect the chewing surfaces, flossing is still recommended to fully prevent decay between teeth.